3. The dredge will continue to operate in South Bay until roughly mid-October. 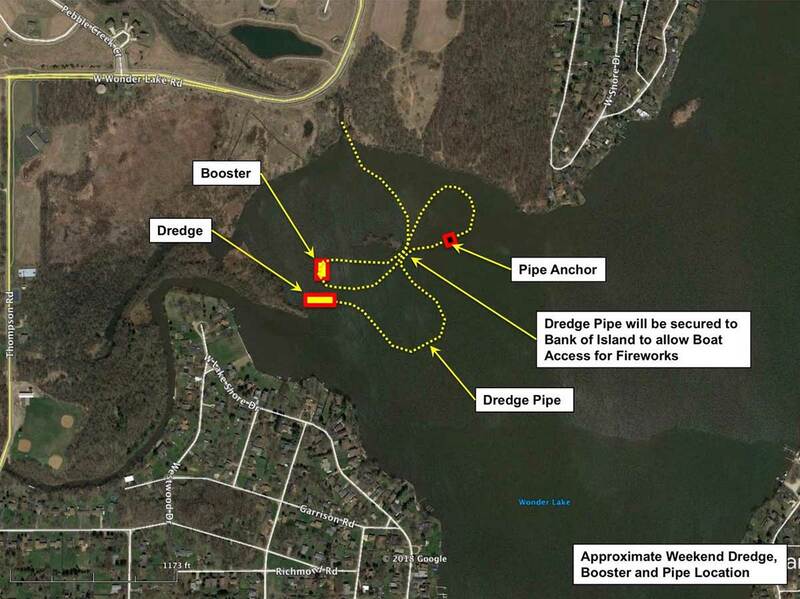 Once boating traffic slows down after the Labor Day holiday, and piers are removed, the dredging contractor intends to complete the Wickline Island and O’Brien Shoals areas yet this year. Updated info will be posted to the MPOA website as it becomes available. 4. Water quality monitoring at the 13 Wonder Lake swimming beaches, conducted by the McHenry County Health Department, resulted in 28 events that resulted in beach closings or swim advisories during 2016. Each of these events was associated with a 0.75 inch or greater rainfall event. The 2016 events are fairly consistent with what has been experienced in prior years. 5. The Nippersink Watershed Association has received the contract for the current round of IEPA funding, and is currently working with WL and other watershed landowners on getting projects underway.